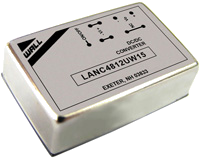 The LANCUW15 series of DC/DC power converters provides 15 watts of output power in a 1.25 x 0.80 x 0.40 inch DIP package. This series has single and dual output models with 4:1 wide input voltage ranges of 9-36VDC and 18-75VDC. Some features include high efficiency, 1600VDC I/O isolation, six-sided shielding, and positive logic remote ON/OFF. These converters are also protected against over voltage (single outputs only), over load, and short circuit conditions. All models are RoHS compliant and have UL60950-1, EN60950-1, and IEC60950-1 safety approvals. This series is best suited for use in wireless networks, telecom/datacom, measurement equipment, industry control systems, and semiconductor equipment. 6. Ripple and Noise is measured with a 1µF ceramic capacitor in parallel with the output pins. 7. 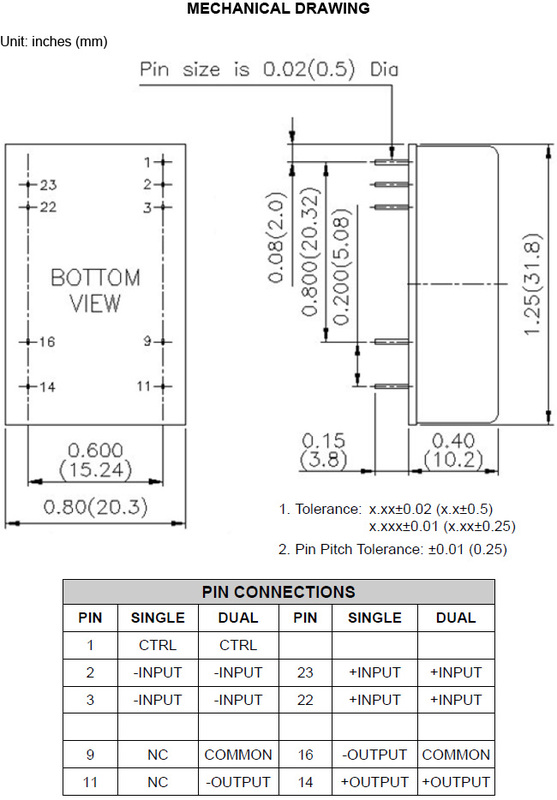 The ON/OFF control pin voltage is referenced to -Vin. 8. 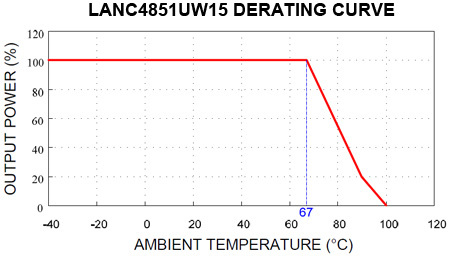 The LANCUW15 series can meet EN55022 Class B with an external filter on the input pins to the converter. Please call factory for more detailed information. 9. An external input filter capacitor is required if the module has to meet EN61000-4-4, EN61000-4-5. The filter capacitor suggested is Nippon chemi-con KY series, 220µF/100V.